There is another type of impairment that drivers face and one that is especially dangerous for teens – fatigued or drowsy driving. Other impairments like alcohol or drugs – especially prescription or over the counter medications — can cause drowsiness, but more often than not, it comes down to getting (or not getting) enough sleep. A tired driver is a dangerous driver. There were 846 known fatalities related to drowsy driving in 2014, and far more incidents involving injuries and property damage. This is a serious issue and parents and teens need to keep a few things in mind. Like many of us (and maybe even more than some adults), teens have busy schedules. There’s school, homework and hanging out with friends and family. Your teen is probably involved in extracurricular activities at school and they might even have a job, too. With all that, going on, is your teen getting enough rest before hitting the road? Teens need 8-10 hours of sleep every night to function at their best, but most aren’t getting that much. 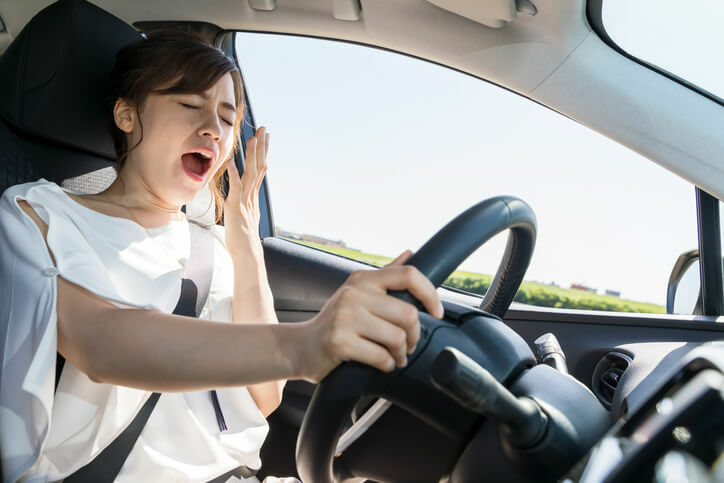 That can be deadly if they get into a car — this study shows that only 6 hours of sleep is enough to increase the crash risk for a teen. If your teen is driving during or after a long day without sleep, the effects are even worse. Driving without sleep can be like driving drunk. Studies have shown that being awake for 18 hours is the equivalent to having a blood alcohol content (BAC) of .05%. If your teen pulls an all-nighter and then heads straight into the weekend, being awake for 24 hours is the equivalent to having a BAC of .10% — higher than the legal limit! Having a plan is the best defense. With early school start times and packed schedules, make sure your teen has enough sleep before getting behind the wheel in the morning. If your teen has an after-school job and gets out of work late, encourage them to give you a call and ask for a ride. Treat drowsiness as you would impaired driving and let your teen know that if they’re feeling tired, it’s better to call for a ride than to get behind the wheel. DriveitHOME™ is an initiative of the National Safety Council, designed by and for parents of newly licensed teen drivers. DriveitHOME™ offers free resources parents can use to help their teen build experience to become safer drivers.